All Web addresses mentioned were functional as of 8-28-15. From the Cumberland Gap to the Atlantic Ocean, this is Virginia Water Radio for the week of August 31, 2015. That excerpt of “River Song,” by the Floorboards, opens a repeat of our episode on Virginia waterways clean-ups, last broadcast in September 2013. Our next new episode, Part 2 of Oysters, Nitrogen, and the Chesapeake Bay, will air during the week of September 7, 2015. This week, we feature a series of mystery sounds. Have a listen for about 15 seconds, and see if you can guess what these sounds have in common. And here’s a hint: this is an aquatic case of garbage in/garbage out. If you guessed trash found commonly in waterways, you’re unfortunately right! Those were the sounds of a plastic bottle, an aluminum can, a plastic bag, plastic utensils, glass bottles, a straw, and a paper bag—all among the top trash items typically collected by volunteers in the annual Virginia Waterways Cleanup. Each year between September 1 and October 31, Clean Virginia Waterways—located at Longwood University in Farmville—leads a statewide effort by thousands of volunteers to remove trash from Virginia’s streams, rivers, lakes, and coastal areas. Participating groups include schools, businesses, churches, watershed associations, and other organizations. The Virginia effort is part of the International Coastal Cleanup, organized annually since 1986 by the Ocean Conservancy. 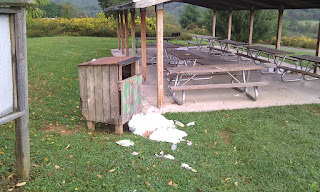 You can find the cleanup nearest you at http://www.longwood.edu/cleanva. Thanks to the Floorboards for permission to use this week’s music. And thanks to two Blacksburg neighbors for making this week’s sounds, and they get the last word: Please help keep our waterways clean! This episode revises the episode done originally for the week of October 10, 2011, and repeated during the week of September 23, 2013. Thanks to Joey Mignone and Ocean Moore for making this week’s sounds, recorded October 8, 2011. This week’s excerpt of “River Song” was taken from a live performance by The Floorboards at the Cary Street Cafe in Richmond, Va., on December 13, 2013; used with permission. The recording was accessed from The Floorboards’ page on Internet Archive, https://archive.org/details/TheFloorboards. More information about The Floorboards is available online at http://thefloorboards.net/. “River Song” was featured previously in Virginia Water Radio Episode 228 (8-25-14). Besides plastic and paper items, automobile tires are a common trash item found in waterways, such as here in the Middle Fork Holston River in Washington County, Virginia, October 3, 2010. 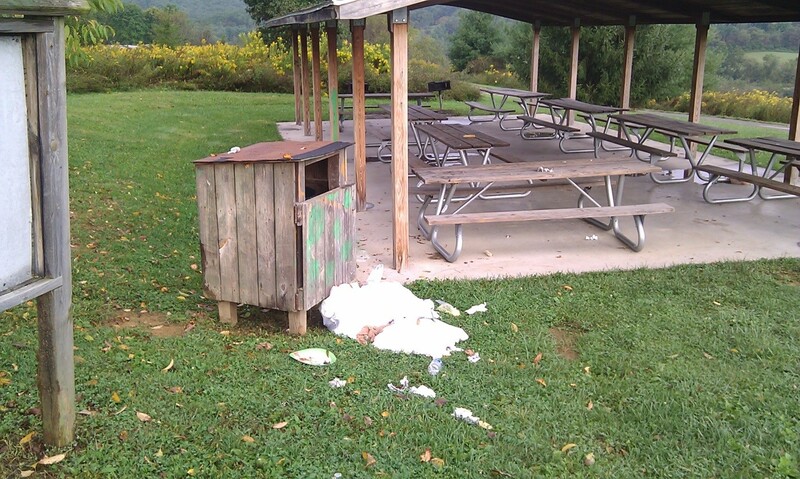 This improperly disposed-of trash was about one-quarter mile uphill from Toms Creek in Blacksburg, Virginia, on September 22, 2013. Clean Virginia Waterways Web site, http://www.longwood.edu/cleanva/Index.html; the direct link for organizing a clean-up or registering for an existing one is http://www.longwood.edu/cleanva/VolunteerForCleanup.html, or contact Clean Virginia Waterways at (434) 395-2602 or cleanva@longwood.edu. Ocean Conservancy Web site, http://www.oceanconservancy.org/. Seth Borenstein, What’s in 90 percent of seabirds’ guts? 1 word: Plastics, Associated Press, as published by Washington Post, 8/31/15. Clean Virginia Waterways historic data on Virginia clean-ups (back to 2001), available online at http://www.longwood.edu/cleanva/Data,ICCinVA,historic.html. International Coastal Cleanup’s “2015 Report: Trash Free Seas: Every Piece, Every Person,” available online at http://www.oceanconservancy.org/our-work/international-coastal-cleanup/. National Oceanic and Atmospheric Administration (NOAA)/Office of Response and Restoration, “Marine Debris Program,” online at http://marinedebris.noaa.gov/. Staunton [Va.] News Leader, Volunteers pull tires and more from Middle River, 9/13/15. 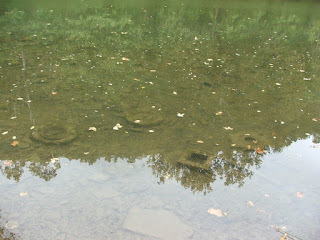 Trash Free Potomac [River] Network, online at http://trashnetwork.fergusonfoundation.org/. University of Georgia, “Marine Debris Tracker” (site for citizens to document their findings of marine debris or litter), online at http://www.marinedebris.engr.uga.edu/. U.S. Environmental Protection Agency, “Trash Free Waters,” online at http://water.epa.gov/type/oceb/marinedebris/. Please see the “Waste Management” category at the Index link above (http://www.virginiawaterradio.org/p/index.html).